More steam equals more power. In 1924, Lima Locomotives Works introduced the Berkshire, an engine that boasted superlative speed and power via the relatively simple principle of a greatly enlarged firebox. 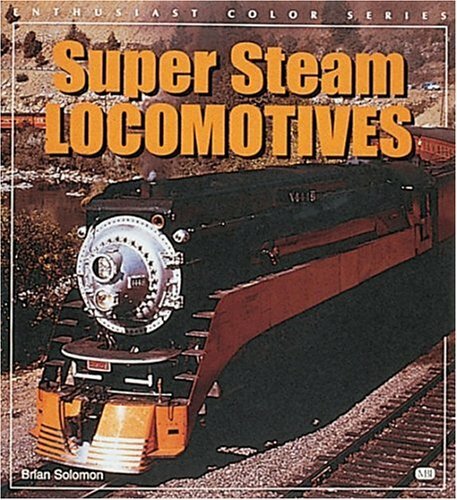 The Bershire inspired a new breed of super steam locomotives designed by numerous manufacturers and used by virtually every American railroad until the end of the steam era. This color history uses modern color photgraphs of examples still used today by museums and tourists railways- models like the Hudson, Northern, Challenger, Yellowstone, and Big Boy. Brian Solomon is one of today’s most accomplished railway historians. He has authored more than 30 books about railroads and motive power, and his writing and photography have been featured in Trains, Railway Age, Passenger Train Journal, and RailNews. Solomon divides his time between Massachusetts and Ireland.